In this NRN guest blog, Dr Anne Cassidy, Postdoctoral Researcher at the UNESCO Child and Family Research Centre, National University of Ireland, Galway, explains why it is imperative that modern, contemporary society widens the idea of what constitutes the ‘ideal’ farm successor, to include daughters as well as sons, and how such a shift in mentality can provide a lifeline for not only the traditional family farm model as we know it here in Ireland but also for the wider sustainability of the rural Irish economy. 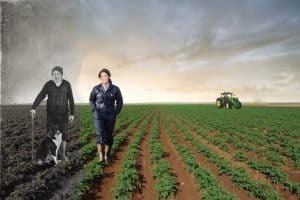 At a time of increasing concern about the next generation’s willingness to enter the farming industry and worries over the capacity of the family farm model to provide a stable income it is surely worth widening our idea of what constitutes the ‘ideal’ successor to include daughters as well as sons. While women’s vital contributions to farming have long been recognised this is usually as helpers rather than the ‘farmer’. So what if they were to be seen as a potential successor? In many ways this might seem to be an illogical idea. 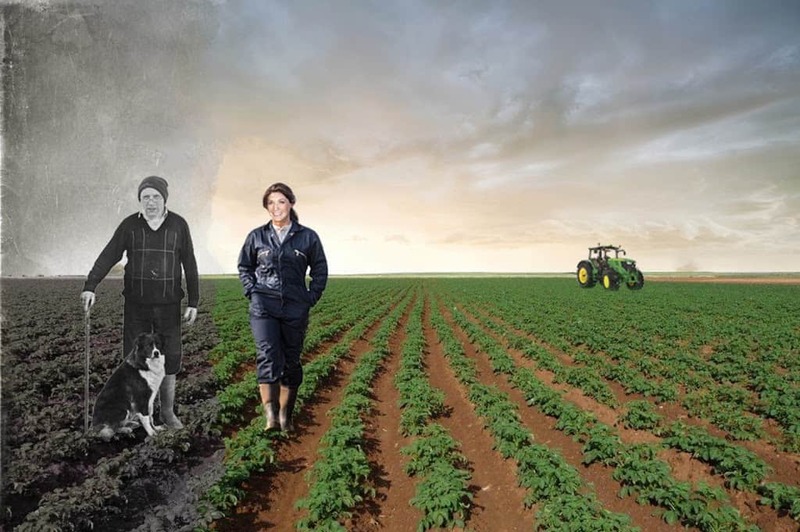 If we are unable to retain young men who are brought up with the idea of becoming the farmer and who ‘fit’ the ideal type of what it is to be a farmer then how would including farmers’ daughters, who do not conform to this image, help to increase the numbers of young people in the industry or build a more competitive model of farming? Yes, it could be argued that daughters often show little real interest in the working life of the farm. However, their apparent disinterest could lie in the subtle segregation of the sexes on the farm from a young age with hints given from an early age as to who can legitimately count themselves as a farmer and who cannot. Ever thought about the fact that girls ‘help’ and boys ‘work’ and the messages this sends from a young age-what if we shifted this to include girls? What affect might that have on their attitudes towards the farm and their place on it? Also, the idea that daughters’ apparent disinterest means that they are less committed to the farm than their brothers or lack the capacity to take on this role should be questioned. The continuation of a model where the farm is largely passed on to one heir accompanied by the lack of land sales (under 1% per annum) points to the fact that daughters are not agitating for the land to be sold and the proceeds equally divided. Also with the increasing mechanisation of farming as well as access to specialist contractors and the resulting shift in work practices the physicality involved is perhaps diminishing. Secondly, research shows that where women are centrally involved with the farm there tends to be higher levels of business diversification. In fact, a study carried out in Norway showed that young female farmers were more likely to be open to change than their male counterparts, in part because they had fewer fears about not conforming to social expectations about what it was to be a ‘farmer’. An increasingly competitive business environment threatens the capacity of small-scale family farms that specialise in sheep or beef farming to earn a viable income. It is this diversification away from traditional ways of earning that might not only save an individual farm enterprise but also provide a much needed boost to the local rural economy. So perhaps it is time to embrace the possibilities and opportunities offered by widening our idea of the farm successor to include daughters – not only in how we consider their role in succession as adults but also how we integrate them as children into the life of the farm. While this jars with what we imagine a farmer to be it might just provide a lifeline for not only small family farms but the wider rural economy as well. 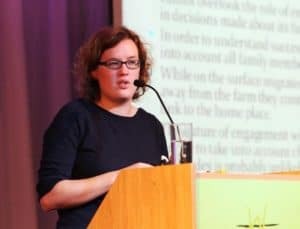 Dr Anne Cassidy is a Postdoctoral Researcher working on the Mainstreaming and Development Programme with particular responsibility for the Meitheal and Child and Family Networks Evaluation. She is also part of the Centre’s UNESCO Youth Research Group. Anne is an experienced researcher with interests in a range of subjects including rural youth sociology, gender, community development and transitions to adulthood. 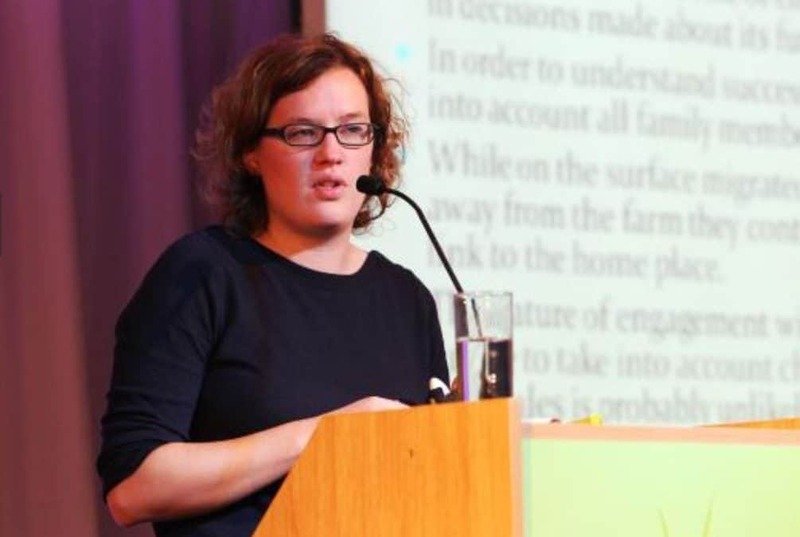 Prior to her current post she held a postdoctoral research position in a joint Teagasc-NUIG project on increasing women’s participation in agriculture.